So lately I have started to make blankets….. I buy the fleece material from Chamdor at a good price, cut them (with material scissors) and sew the sides (with my mother’s 30 year old sewing machine). 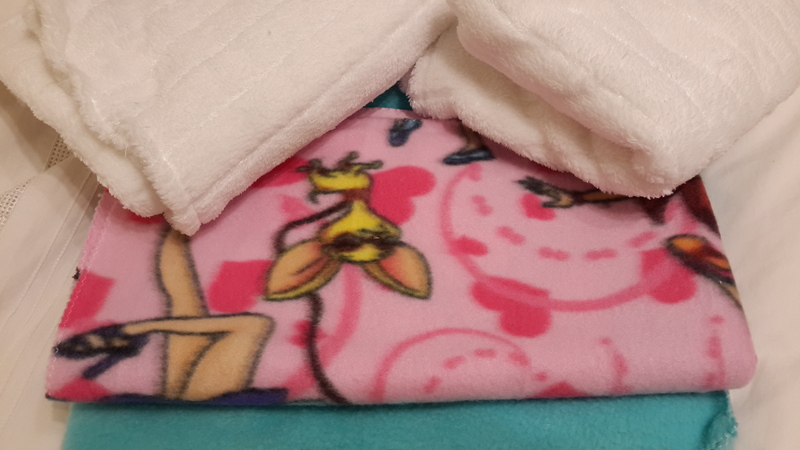 I have priced 10 blankets at R150. An example of a few I made last week.